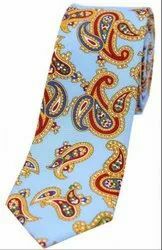 Our product range includes a wide range of colorful custom tie, custom tie, animal printed ties, paisley design ties, polka dot custom tie and mens silk custom tie. 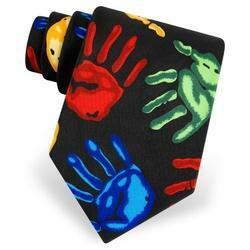 We have become a well-known manufacturer of a better-quality range of Colorful Custom Tie. The offered ties are developed using cutting-edge technology and high grade raw material. The mentioned products are available in varied colors, designs, patterns and sizes as per the necessities of customers. Our customers can benefit from us these items at the most reasonable price. 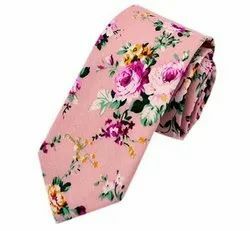 We are extremely reputed firm, sincerely involved in supplying a supreme range of Custom Tie. The supplied items are fabricated by our skilled designers in accordance with global standards using finest grade textile and basic material. To ensure its quality, these products are made under the supervision of our quality analysts on different quality parameters. 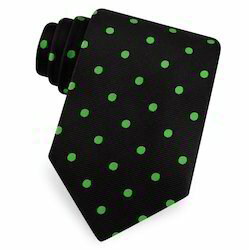 Assisted by a team of skilled professionals, we are involved in providing a quality assured range of Polka Dot Custom Tie . Manufactured with the use of superb quality raw material which is sourced from trustworthy vendors’ of the industry, these products are extensively acceptable for their elevated durability and resistance against corrosion. Provided by us in modified packaging solution, we ensure their fault free delivery to customers’ premises. Our association is well reckoned association, engaged in presenting finest quality variety of Mens Custom Tie. These ties are attractively designed by our qualified and knowledgeable professionals, and are highly demanded in the market. We provide these ties in various specifications within the committed time period. 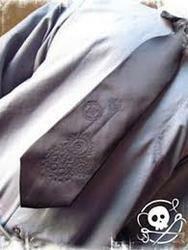 Our respected customers can avail these ties from us at highly affordable rates. Andhra Pradesh: Nizamabad, Hitech City, Khammam, Warangal, Karim Nagar, Nellore, Mehboobnagar, Madvapur, Secunderabad, Guntur, West Godavari, Cyber City, Prakasam, Vishakapatnam, Vizianagaram, Kurnool, Medak, Jubliehilutta, Nalgonda, Panjagch City, East Godavari, Hyderabad, Anantpur, Chittor, Adilabad, Cuddapah, Musheerabad, Banjarahills, Krishna, Abids, Srikakulam, Ranga Reddy,etc. Karnataka: Udupi, Mangaluru, Hassan, Bellary, Raichur, Robertsonpet, Bhadravati, Tumkur, Gulbarga, Hospet, Maisuru, Belgaum, Mandya, Bidar, Chitradurga, Bangalore, Gadag Betageri, Hubli, Shimoga, Bijapur, etc. Kerala: Thrissur, Quilandi, Nileshwar, Muzhappilangad, Angamali, Tirur, Attingal, Perumpavur, Ponnani, Panniyannur, Palai, Muhamma, Cheruvannur, Kanhangad, Kakkanad, Chendamangalam, Puzhathi, Mavelikara, Maradu, Perintalamanna, Feroke, Chengamanad, Kunnamkulam, Thanneermukkam, Churnikkara, Eriyad, Beypore, Kayamkulam, Kasaragod, Manjeri, Nedumangad, Kuthuparamba, Thrippunithura, Kanjikkuzhi, Kollam, Dharmadom, Cheruthazham,Varappuzha, Cherthala, Palakkad, Perumbaikad, Taliparamba, Anakkayam, Payyannur, Chalakudi, Chittur, Adur, Tiruvalla, Kodungallur, Thiruvankulam, Kozhikode, Vattiyoorkavu, Olavanna, Erattupetta, Kottayam, Panthiramkavu, Azhikode North, Chockli, Vayalar, Kottuvally, Arur, Mulavukad, Pappinisseri, Chengannur, Kotam, Thiruvananthapuram, Kannur, Kedamangalam, Parur, etc. Tamil Nadu: Nagapattinam, Namakkal, Kancheepuram, Virudhunagar, Perambalur, Tiruvarur, Vellore, Sivaganga, Nilgiris (HQ: Udhagamandalam), Villupuram, Coimbotore, Dindigul, Tiruvallur, Erode, Kanniyakumari (HQ : agercoil), Ramanathapuram, Pudukkottai, Chennai, Salem, Thoothkudi, Thanjavur, Cuddalorei, Tirunelveli, Karur, Tiruvannamalai, Madurai, Dharmapuri, Theni, Tiruchiorappalli, etc. Maharashtra: Jalna, Raigad, Wardha, Mumbai City, Parbhani, Gadchiroli, Solapur, Ratnagiri, Nagpur, Gondia, Nashik, Ahmednagar, Hingoli, Sindhudurg, Nanded, Latur, Amravati, Pune, Dhule, Beed, Aurangabad, Bhandara, Nandurbar, Jalgaon, Thane, Kolhapur, Satara, Buldhana, Osmanabad, Mumbai Suburban, Akola, Washim, Yavatmal, Sangli, Chandrapur, etc. Indian States: Tripura, Delhi, Mizoram, Jammu and Kashmir, Assam, West Bengal, Madhya Pradesh, Chhattisgarh, Manipur, Gujarat, Rajasthan, Arunachal Pradesh, Nagaland, Meghalaya, Bihar, Sikkim, Andhra Pradesh, Karnataka, Orissa, Haryana, Kerala, Uttarakhand, Goa, Uttar Pradesh, Jharkhand, Maharashtra, Tamil Nadu, Punjab, etc. 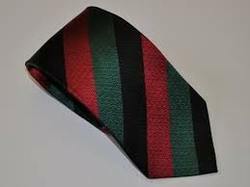 We are actively involved in offering our customers an attractive array of Striped Custom Tie. It is designed and developed by our skillful designers according to the defined industry rules using high grade fabrics and current machines. Moreover, these items are available in different designs, colors, sizes and patterns at industry leading rates. We are one of the leading producers and suppliers of supreme quality range of Custom Tie. In addition, the offered products are fabricated and designed by our experts by making use of superior quality textile and advanced grade techniques. We supply these items in numerous designs, sizes, patterns and colors as per the necessities of customers. One can also place the order in bulk quantity. 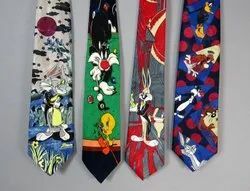 This is men's specific collection of Tie. We create the entire collection using pure silk and soft fabric, in different designs, colors, width and patterns. Our product quality equals the global standards. The creation can also be improvised according to the customer's requirements. These are available at affordable rates. We also offer different colors, designs and width on client's demand. Specifically created for our school, college, university and institute clients, Our exclusive range of Uniform Ties is designed using high grade polyster fabricated according to our client's requirements. Designed in various colors, shades and patterns, uniform ties conform to the international market standards. We offer the product at competitive range. 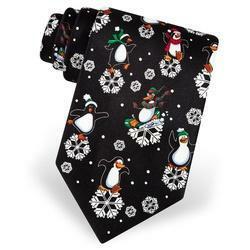 Our organization is actively indulged in presenting an extensive collection of Customized Tie. 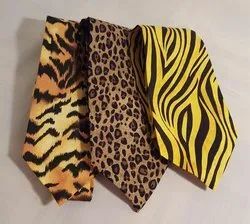 Fabricated with brilliant quality fabric, these ties are in accordance with the newest trends in the market and are highly acclaimed and demanded by our customers. Available at highly economical rates, these ties can also be made as per the modified requirements. These ties are available as per the requirements and needs of our patrons. 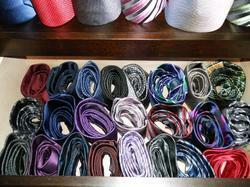 To elate the diverse needs of our highly admired customers, we offer a vast range of Tie Accessories . An exclusive creation by our expert artisians using the premium quality of silk material in accordance with the market vogue. 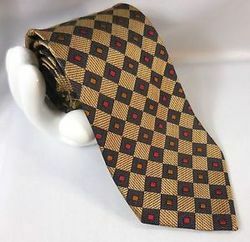 Customers can avail these ties in varied colors, desgins and sizes preferences to cater the diverse needs of clients within the assured time frame. 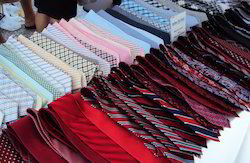 Offered silk ties are prized in the market due to its strength & designs. With immense industrial knowledge, we are enable to present an incomparable range of Tie Accessories. These ties are intricately created by our competent manpower utilizing elite quallity of fabric in obseravnce with the upcoming market. 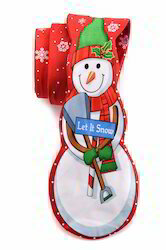 We offer these ties in vibrant colors, diverse sizes and designs to meet variegated demands of the consumers. 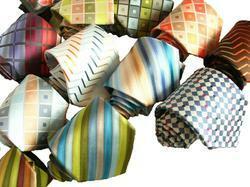 Our association is well reckoned association, engaged in presenting finest quality variety of Woven Tie. These ties are attractively designed by our qualified and knowledgeable professionals, and are highly demanded in the market. We provide these ties in various specifications within the committed time period. 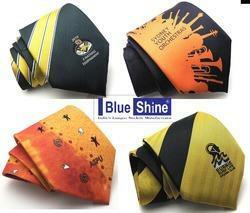 Our respected customers can avail these ties from us at highly affordable rates. 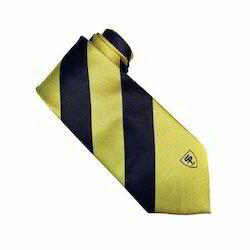 We are occupied in presenting our patrons an elegant collection of Logo Tie. Provided ties are manufactured using best quality raw material and advanced technology. To ensure quality, these ties are examined by our quality auditors on different quality parameters. Furthermore, these ties are available in various colors, patterns sizes, and designs as per the requirements of customers. 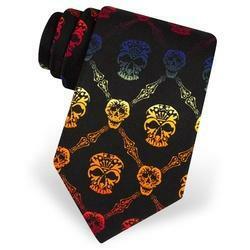 We proffer these trendy and alluring ties to the customers at market leading rates. We are actively involved in offering our customers an attractive array of Woven Logo Ties. The offered ties are developed using cutting-edge technology and high grade raw material. To guarantee quality, Formal Ties are supervised by our quality analysts on different quality parameters. In addition to this, Formal Ties are available in various sizes, patterns, colors and designs as per the requirements of customers. 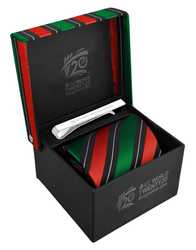 We offer all Formal Ties at attractive and stylish Gift Packing to the customers at market leading rates. Looking for Customized Tie ?